As the establishment’s global push for an Orwellian “cashless society” kicks into high gear, the European Union is pursuing a plan to impose limits on cash transactions as the next phase in the war on cash. The goal, according to the unelected EU bureaucrats behind the plot, is to fight “anonymity” in economic transactions — or, said another way, to crush privacy and give authorities the power to monitor every exchange. Amid a United Nations-led effort to sideline cash and privacy around the world, the EU’s anti-cash move follows similar schemes by a number of national governments within and beyond the EU in recent years. However, as the effort picks up steam, critics are lambasting the controversial agenda from all angles, highlighting the dangers of the plan and the huge threat it poses to privacy, freedom, and real human rights. While no specific upper limit on cash transactions is proposed in the controversial document, at least not yet, the proposal explains that there are several options to end economic privacy. One way “the objective [of ending privacy] can be attained,” they say, is “by restricting cash payments through an EU legislative instrument, and thereby forcing payments through means that are not anonymous (bank transfers, checks, etc. ).” Another would be to force cash users to declare their transactions to a “competent authority.” Finally, the document mentions the possibility of “abolishing altogether the use of cash,” which, as this magazine has documented, is in fact the ultimate objective of the establishment forces pushing the “Cashless Society” and “War on Cash” agendas around the world. At the national level, bankrupt and bloated governments across Europe are increasingly pursuing such measures as they frantically search for more cash to confiscate to keep themselves afloat. The bloated Socialist Greek government (PM Alexis Tsipras pictured), for example, pioneered the limits, starting with a ban on cash transactions over 1,500 euros that has now been ratcheted down to just 500 euros. 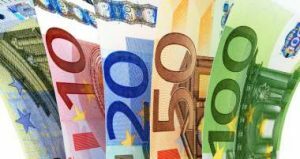 The bloated Socialist French government, meanwhile, has imposed a limit of 1,000 euros, a limit that was quickly adopted by Spanish authorities as well. Bloated Scandinavian governments have also been leaders in the totalitarian jihad against cash, using various incentives and decrees to reduce and eventually eliminate the use of cash. The European Central Bank has also announced plans to stop producing high-value bills that account for an estimated one third of all the cash in the eurozone. In its “inception impact assessment” report on the scheme, the EU Commission, essentially the unelected legislative and executive branch of the EU super-state, justified the plot to end privacy, primarily, under the guise of fighting “terrorism.” However, as The New American has documented extensively, the EU and the globalist establishment helped foment the massive terror threat now faced by the West, and then exploited that threat to wage more war on freedom. The process went like this: First, globalist powers bombed and destroyed multiple Islamic nations in the Middle East and North Africa under various pretexts. 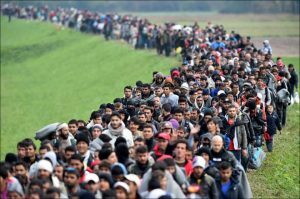 Then they opened the borders and offered huge tax subsidies to import millions of Muslims from those nations (and others) as refugees. And now, when the inevitable terror strikes, they exploit it to demand more globalism and more attacks on individual liberties — most recently seen in the EU attack on cash. Several other “justifications” to the scheme are presented, including the creation of an “even playing field” across Europe’s “internal market,” busting criminals, increasing government revenue, helping spy on citizens, and more. “There is a case for action at EU level, as the existence of cash payment limitations in some member states, and their absence in other member states, allows activities to be moved across borders to elude the cash restrictions,” the commission’s swarms of unelected bureaucrats argued. “Self-regulation does not appear to be a viable option considering the objectives pursued.” Ironically, the report acknowledges having little to no data on how frequently cash is used for crime and terror, or on how significant the numbers are compared with lawful uses of cash. Also ironically, studies show nations with higher denomination cash notes such as Switzerland have less crime and terror. Still, the EU report calls for collecting the data needed to justify the totalitarian policies. Because a ban or limits on cash transactions would, if actually enforced, lead to people using alternative means to bypass Big Brother, the EU also anticipates the need for other assaults on other means of payment that allow privacy. “In view of the development of cryptocurrencies and the existence of other means of payments ensuring anonymity, an option could be to extend the restrictions to cash payments to all payments ensuring anonymity (cryptocurrencies, payment in kinds, etc. ),” continues the EU bureaucracy’s report, referring to developments such as Bitcoin. While not specifically mentioned, the controversial anti-privacy plot would also necessitate controls on foreign currencies such as the U.S. dollar, as well as other stores of value such as gold, silver, and precious metals generally. Other authorities waging a war on cash are reportedly already concocting attacks on gold. Responding to the latest anti-cash scheming of the EU, Tuomas Malinen, an economist and researcher at the University of Helsinki, warned of the implications in comments cited by the Helsinki Times. A ban on cash payments, he explained, “would limit personal freedoms and subject Europeans to the arbitrariness of the European Central Bank (ECB), nation states and the commission.” As a warning, he pointed to Greece, which became a “pure cash economy” as authorities declared a “bank holiday” amid the economic meltdown in an effort to stem the outflow of capital. With a cash ban in place, he said, governments and banks could use people’s savings in any way they liked, including the imposition of negative interest rates that could not be escaped by holding cash. 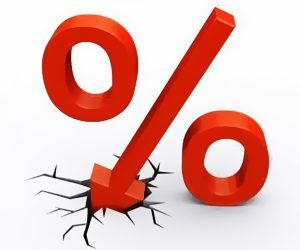 “Some of the savings could be seized to bail out banks or the national economy in the event of a crisis in the banking sector or the economy,” Malinen was quoted as saying, adding that prohibiting cash payments could also have unexpected economic effects. “The state and credit card providers would be able to (technically) monitor the transactions of all citizens. A law to prevent this could be enacted, but it could also be easily amended at a later date.” The Finnish economist concludes that cash is, “first and foremost,” a guarantor of individual freedom. 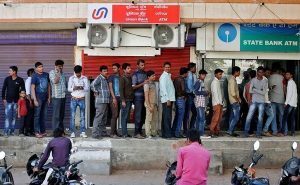 “Without it, citizens can be readily subjected to the arbitrariness of the state or financial institutions, such as the central bank.” Indeed, when the regime in India suddenly took the two largest notes out of circulation late last year, citizens learned the hard way what it means to be subjected to the arbitrariness of government and central bankers. A power outage combined with a cashless economy would also be a recipe for anarchy. Rather than tolerating the latest globalist assault on privacy, dignity, and freedom, humanity should go on offense. That means demanding an end to central banking, debt-based fiat currency, government-sponsored fractional-reserve banking, and other schemes to fleece the public for the benefit of the establishment. Instead of having a debate on the merits of cash, then, a debate on the merits of central banking and centrally planned interest rates would be far more useful and appropriate. 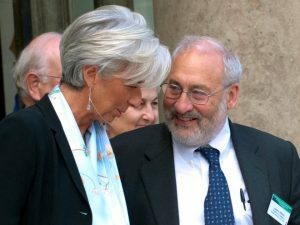 With the horrors of the global central bank-induced economic crisis that began in 2007 still haunting humanity even as the next orchestrated and engineered crisis looms large, it is past time for Americans, Europeans, and the rest of humanity to demand an honest monetary system. The alternative is neo-feudalism and tyranny. Alex Newman, a foreign correspondent for The New American, is normally based in Europe. He can be reached at anewman@thenewamerican.com. Follow him on Twitter @ALEXNEWMAN_JOU.